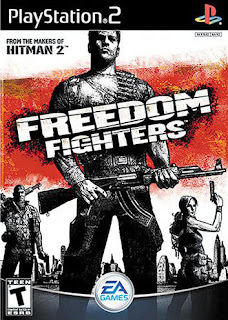 Freedom Fighters ps2 iso Sony Playstation 2,Squad-based third-person shooter, from the makers of the Hitman series. With fierce conflict unfolding in the streets of America, it’s your patriotic duty to fight back. Take on the role of Christopher Stone, and evolve from an average New Yorker into a fearless patriot who recruits and leads an army of freedom fighters in the streets of New York City. 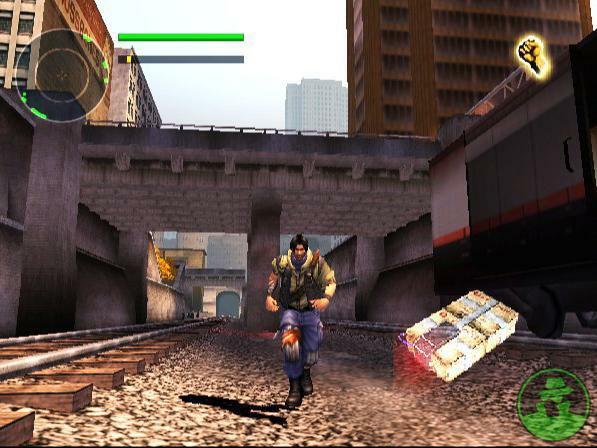 Freedom Fighters combines the depth of a group-based game with the intensity of an action-packed war game, all of which unfolds in the streets, subways, and buildings of the ultimate urban battleground. Gain points for rescuing prisoners or capturing key installations. The more charisma you have, the more fighters you can recruit.War Transforms Your City and Your Character Witness the transformation of your character from ordinary citizen to the world’s toughest Freedom Fighter. New York City itself slowly degrades into a massive battlefield. Become a Leader, Save Your Nation The fast-paced, squad-based action lets you recruit and lead up to twelve Freedom Fighters into battle. This is your army — lead it wisely. 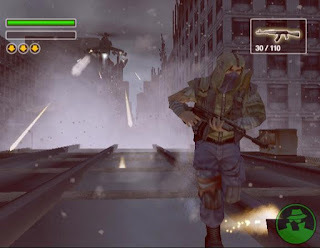 Intense Third-Person Action: Gritty, urban guerilla warfare scenarios range from small sabotage missions to large battles in which you must conquer enemy installations. Charisma-Based Recruiting System: Gain points for rescuing prisoners or capturing key installations. The more charisma you have, the more fighters you can recruit. 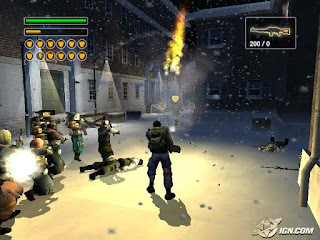 Battle for the Big Apple: Fight for your city using a variety of weapons including machine guns, rocket-propelled grenades, and Molotov cocktails. Enhanced Rendering Technology: An advanced engine renders amazing 3D special effects such as real-time lighting, rain, snow, smoke, and explosions. The Sound of Freedom: From shouts and commands barked out in battle to a pace- and mood-setting soundtrack, the rich environmental draws you into the action.